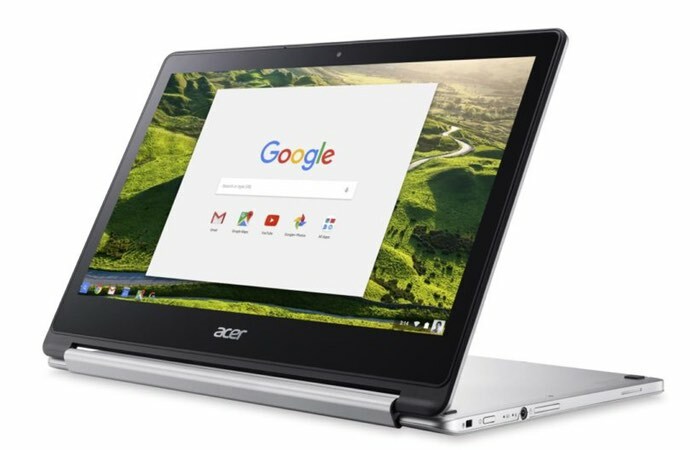 Google has started rolling out its new Android applications (beta) support to various different Chromebook systems and has this week added the new Acer Chromebook R13 to the list of supported systems. Previously Google enabled the Google Play Store for the Acer Chromebook R11, Asus Chromebook Flip, and Google Chromebook Pixel (2015) and has now added a number of new systems over the past few months. To recap the new Acer Chromebook R 13 is priced at $399 and is equipped with up to 64GB of storage and is powered by a MediaTek MT8173C quad-core processor with PowerVR GX6250 graphics supported by 4GB of RAM. The convertible Acer tablet is also fitted with a 13.3 inch display making it the first with such specifications and has also included a 720p web camera. The Chromebook R 13 was first unveiled back in July and has been designed to provide up to 12 hours of use from a single charge. Other features include connectivity via both Bluetooth 4.0 and wireless 802.11ac support. Connections on the system include USB 3.0, HDMI and a handy microSD card slot for further storage expansion if required.